Inhalants are ordinary household products that you inhale or sniff by to achieve a high. There are hundreds of household products on the market today that can be misused as inhalants. Examples of inhalants most commonly used are model airplane glue, nail polish remover, cleaning fluids, hair spray, gasoline, the propellant in aerosol used for whipped cream, spray paint, fabric protector, air conditioner fluid (freon), cooking spray and white-out. You can abuse inhalants in a variety of ways. These products are sniffed, snorted, bagged (fumes inhaled from a plastic bag), or “huffed” (inhalant-soaked rag, sock, or roll of toilet paper covering the mouth) to achieve a high. Long-term effects of inhalants can include compulsive use and a mild withdrawal syndrome. Additional symptoms exhibited by long-term inhalant abusers include weight loss, muscle weakness, disorientation, inattentiveness, lack of coordination, irritability, and depression. After heavy use of inhalants, abusers may feel drowsy for several hours and experience a lingering headache. Because intoxication lasts only a few minutes, abusers frequently seek to prolong their high by continuing to inhale repeatedly over the course of several hours. By doing this, abusers can suffer loss of consciousness and death. Chronic Inhalant Abusers may exhibit symptoms such as hallucinations, anxiety, excitability, irritability, restlessness or anger. Wish to end your addiction to inhalants? 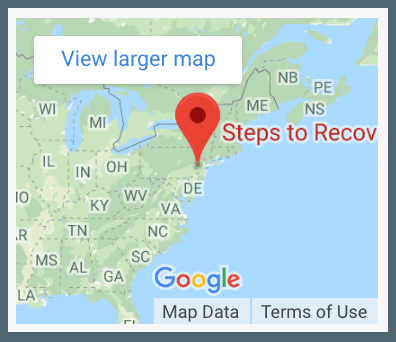 You need the help of Steps to Recovery. Reach out to our team today and call 866-488-8684.